Don't usually enjoy getting procedures done, but Dr. Markowitz and his team made me comfortable and at ease. Had some major work done and everything was professional and well done. I would highly recommend Dr. Markowitz and his team! He gave me beautiful teeth that were once the scourge of my existence. He has always been available to talk and has made it clear that my teeth are a priority. Fantastic experience overall. The service is wonderful the staff is great and my hygienist Holly is very good. Always a great experience. I have been treated wonderfully. Appointments are always prompt, with little or no waiting. I wore metal braces for six years as a kid and I never imagined that I would be back in braces in my 50's. Invisalign takes a lot of discipline but the results are immediate and less invasive and not painful than I remember as a child. 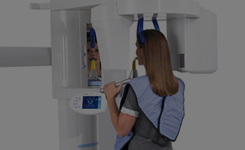 This process is high tech meets great dentistry. 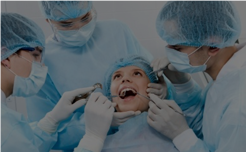 Dr. Markowitz and staff are personable and on the cutting edge of dentistry. 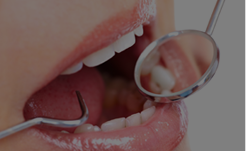 Dr Markowitz and his team are very through and efficient staff. My husband and I are patients for several years now and have had a lot of dental work. 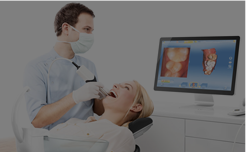 We are both very satisfied and recommend Great Boca Smiles for all your dental needs. Needed a lot or work done and was skeptical about not doing IV sedation, actually freaked out to be honest. Dr Markowitz gave me oral sedation for both 3-4 hour procedures and I was peaceful and happy and not an ounce of pain. Follow up from start to finish was thorough as can be and quite frankly I was elated with my decision to use Dr. Markowitz and will recommend him strongly to all my friends and family. Great job and very satisfied!!! Talk about a dentist near me; Great Boca Smiles is right near my school. My dad switched to Great Boca Smiles, and I'm glad that he let me choose for myself and give it a try. The staff was all friendly, and I love sedation because I don't like to feel anything when I visit the dentist. The dental assistant really took her time with me, and I enjoy my visit each time with Dr. Aylmer. Dr. Alan Markowitz has been my dentist for the last 12 years. His knowledge and expertise only add to the care and concern he shows to myself and my family.